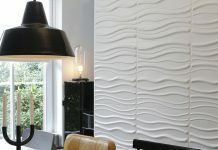 Some of you might remember the work of Scott Alan Ewine, which I featured on Decorology before. 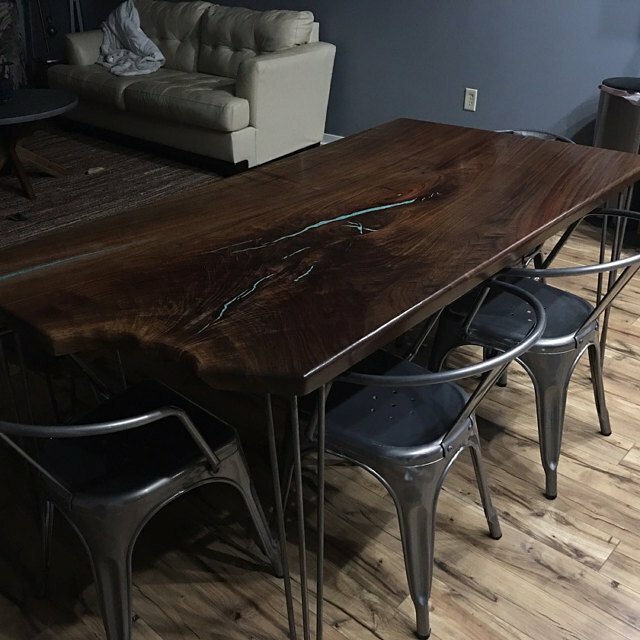 I wanted to share some of his beautiful solid wood tables with you guys again. 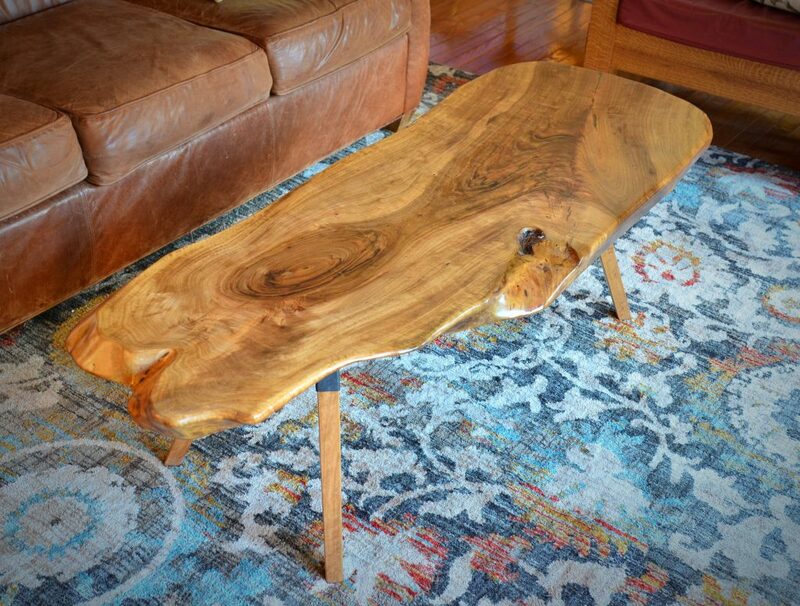 I visited him just a couple of weeks ago at his Frederick, MD home and studio and really enjoyed looking at all of his gorgeous live edge tables. 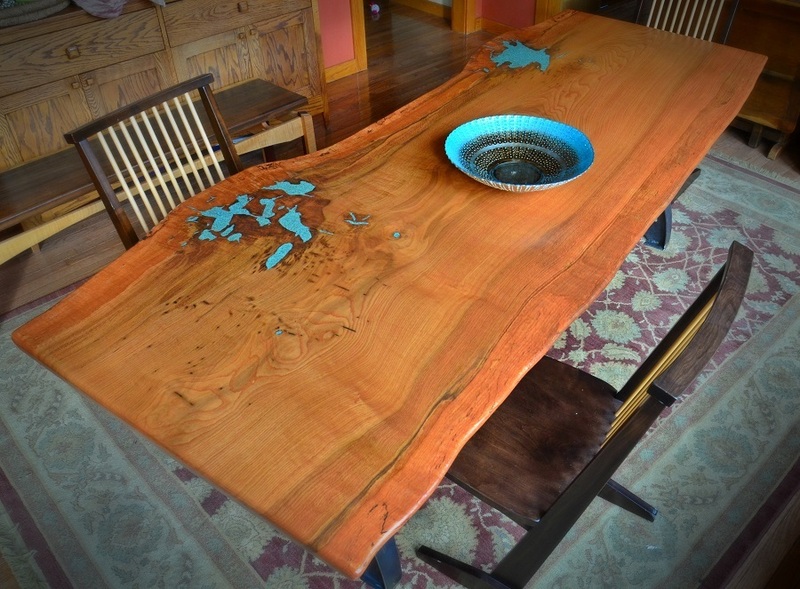 The wood he uses is all from locally-sourced wood, and he knows which tree every piece came from! Check out his latest pieces below. 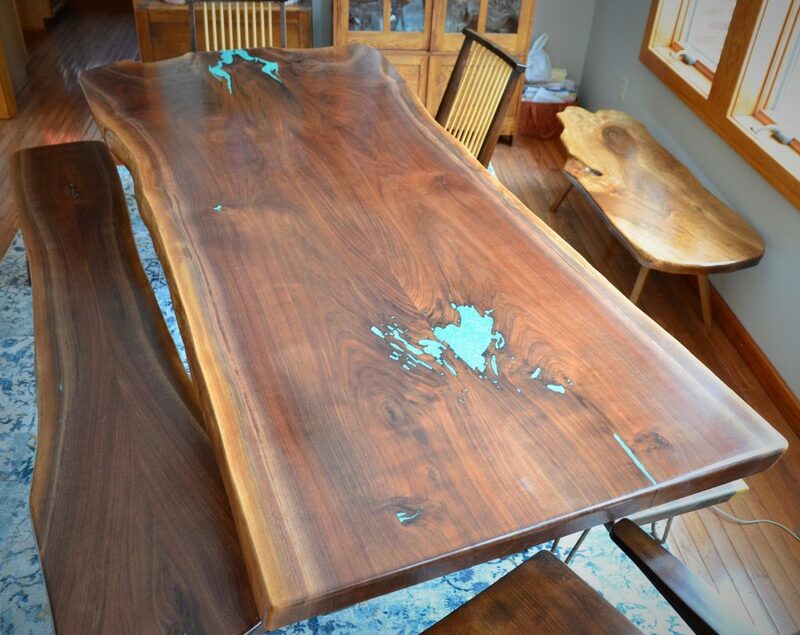 This bookmatched black walnut dining table with turquoise inlays was recently sold, but don’t worry – Scott takes custom orders! 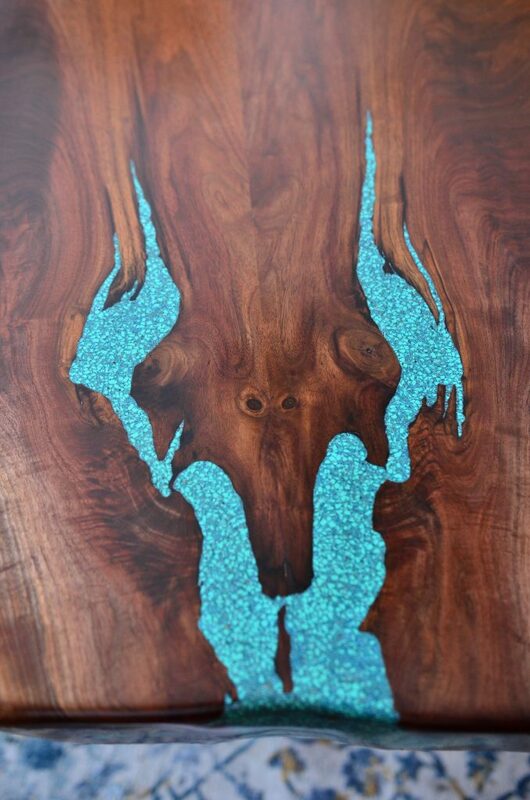 I love the patterns in the wood and how Scott adds the turquoise in natural voids of the wood. 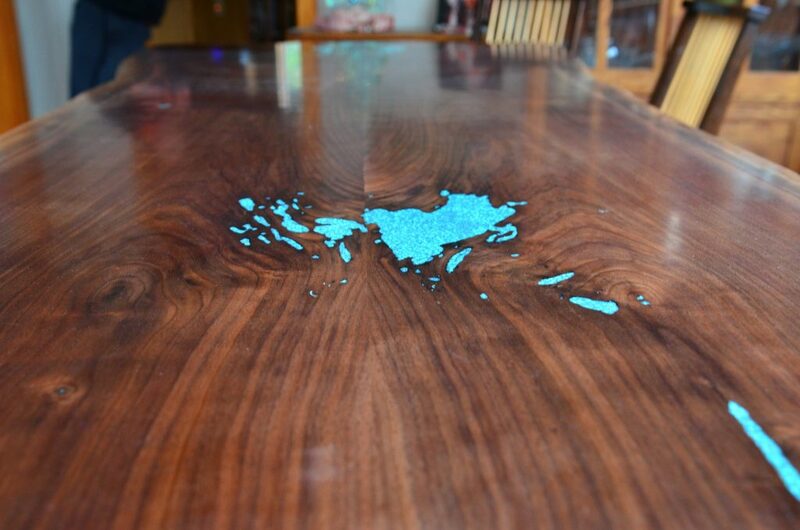 Isn’t this white oak table gorgeous? Another great aspect of his work it that he knows the story behind the wood that he uses. The tree was almost 200 years old, and had to come down as part of an overpass built on US 15 on the north side of Frederick. 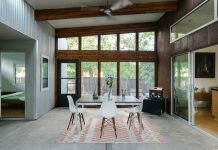 It was taken down in July 2015 and has since been cut into slabs and kiln dried and has yielded over 30 nice slabs up to 40″ wide and over 11″ long. It was really fun to take a tour of Scott’s studio and learn about his process! 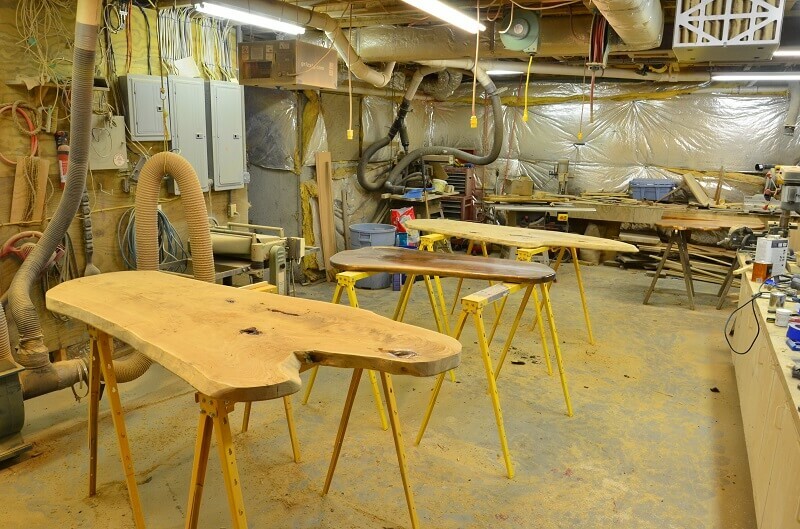 His studio is in his basement where he can work on 6-8 pieces at a time. 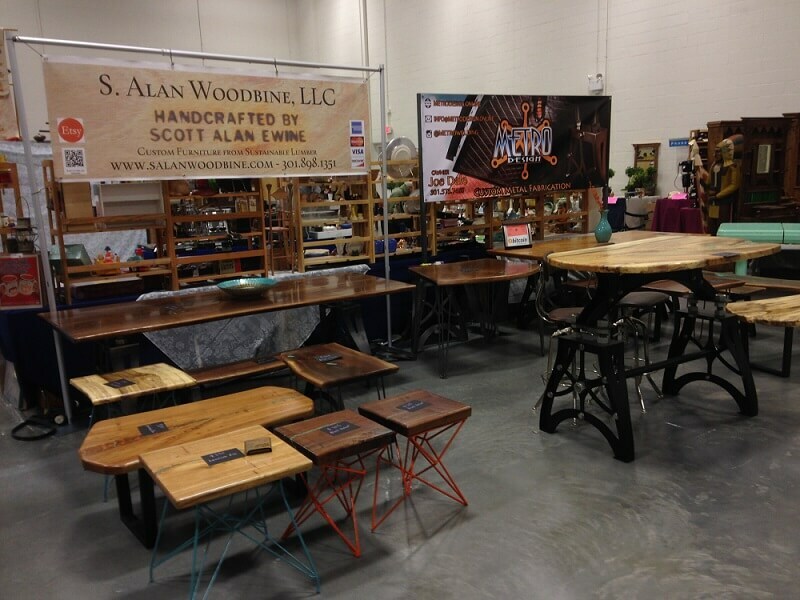 Below are more examples of the type of furniture you can get from Scott’s Etsy site: Scott Alan Ewine Furniture. 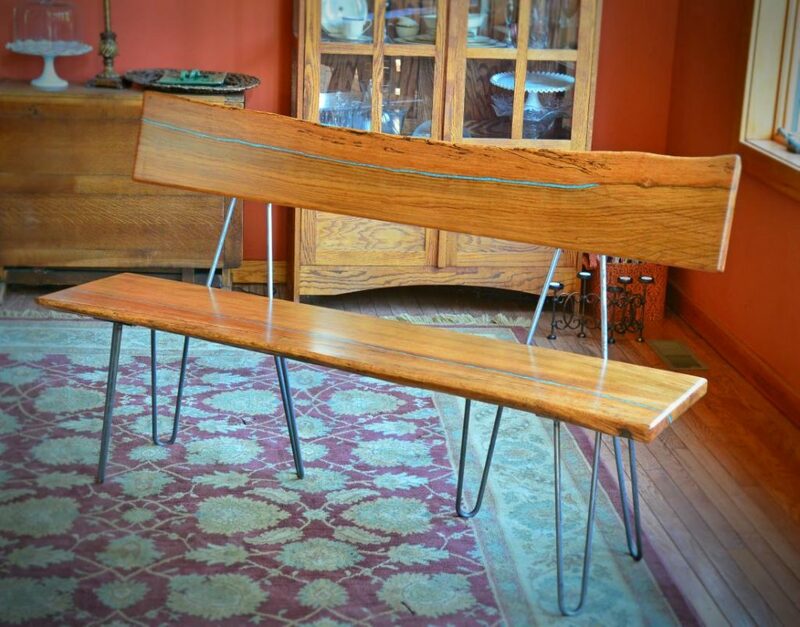 How beautiful is this bench made with hairpin legs? Above is a custom piece made for a client. I love the darker tones too! You can find Scott around some east coast markets and festivals. Check out his upcoming events page. You can also see more of Scott Alan Ewine’s work, as well as contact him, on his website. Previous articleLet the Christmas decorating begin!